This is a longer day tour visiting Kandy and the mountain region of Sri Lanka. Therefore we have to depart early and come back late. We will pick you up from the hotel in Negombo at 7 am. Then go straight to the Pinnawela Elephant Orphanage, on the way we can visit some rubber and cocoa plantations and pineapple gardens. At 08:30 am we will arrive to the Elephant Orphanage, which is the home for many elephants. We can watch elephant bathing, milk feeding, etc. You can take some beautiful photos of that, after 2 hrs at the elephant orphanage we leave again for Kandy. On the way we can visit some spice gardens, tea factories and plantations. About 12:30 pm we can take a Sri Lanka traditional lunch near the Mahaweli River, which is the longest river in Sri Lanka. After the lunch we can visit the Royal Botanical Garden. At 03:00 pm we arrive at the Tooth Temple (picture above). After 45 min at the temple you can walk around the Kandy Lake (Kiri Sayura), City center and the fruit market. At 05:00 pm we leave Kandy the garden city of Sri Lanka. After a 3 hrs drive we will arrive at Negombo Hotel (around 08:00 pm). This is a lot of program and a lot of driving for a single day. If you prefer a more relaxed setting, I recommend to arrange a stop-over in or around Kandy itself. 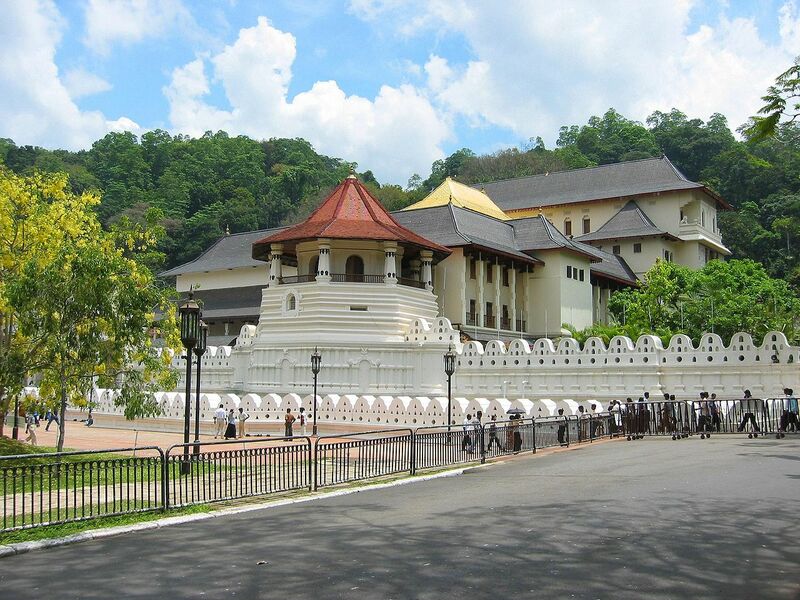 See also the day-tour starting from Kandy.